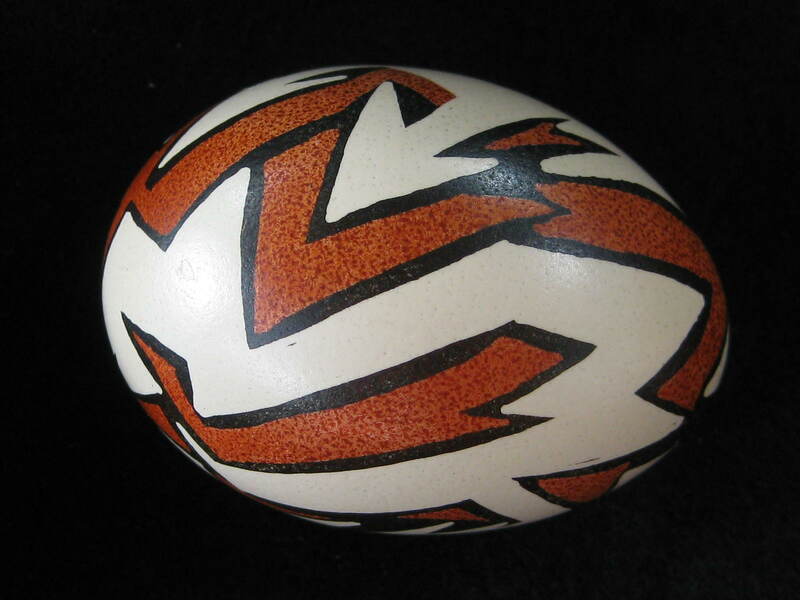 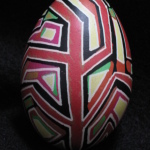 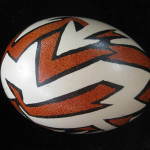 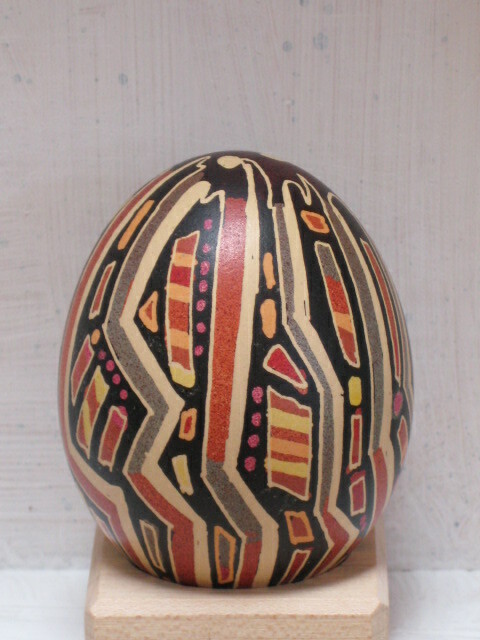 The Easter egg designs which were decorated in many Eastern European countries are of pagan origin. 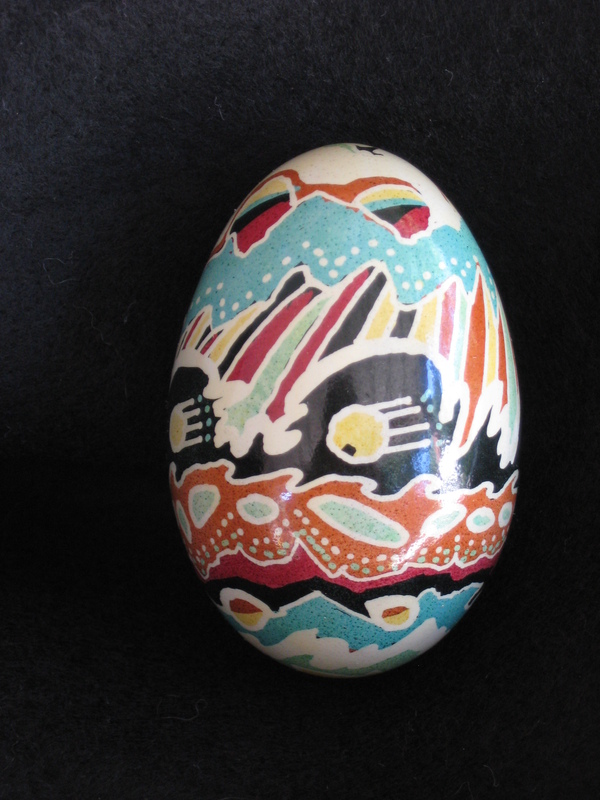 People cherished the eggs for their magical powers and used them as talismans. 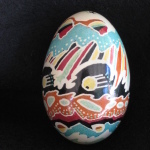 It was believed that properly decorated eggs were able to prevent misfortune, illness, fire and even had the power to reciprocate love. 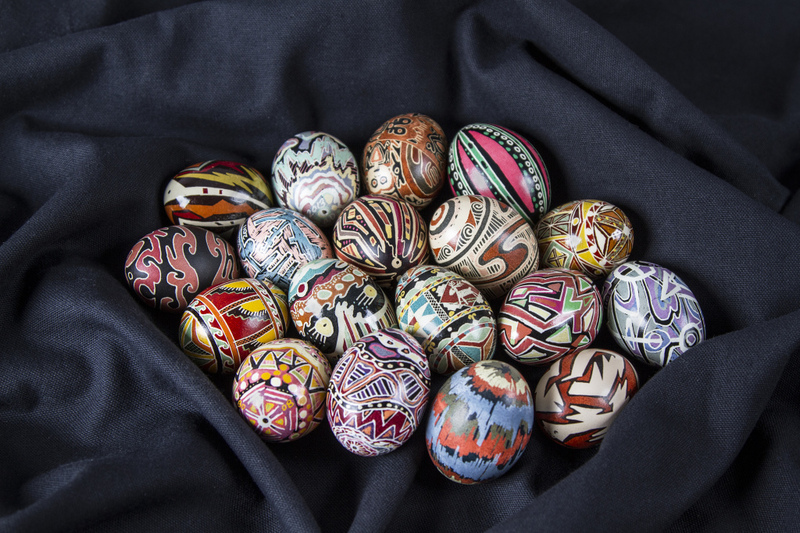 The intricate patterns of those eggs offer unlimited combinations of designs and colors. 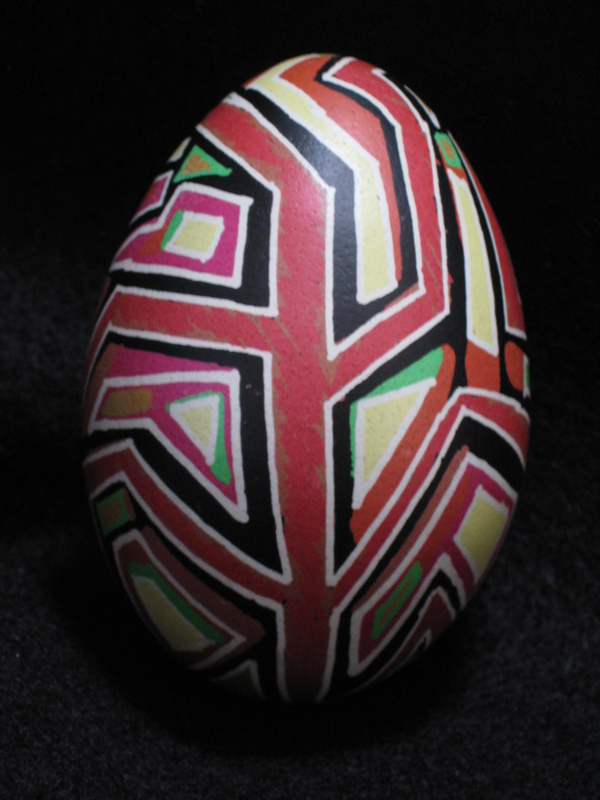 They contain symbols and reflect the skill of the artist. 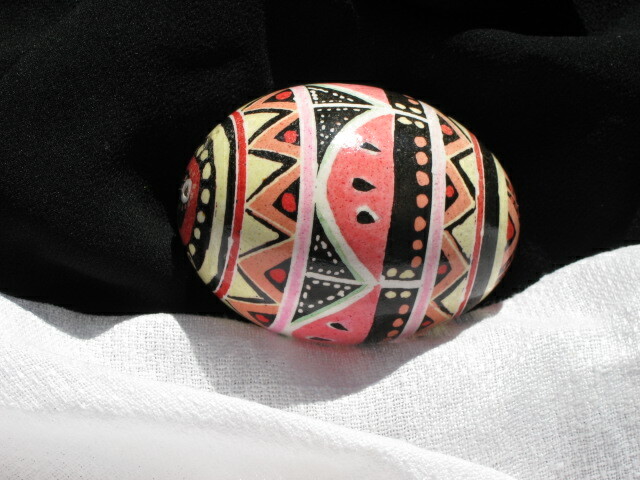 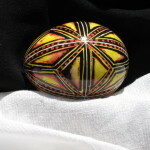 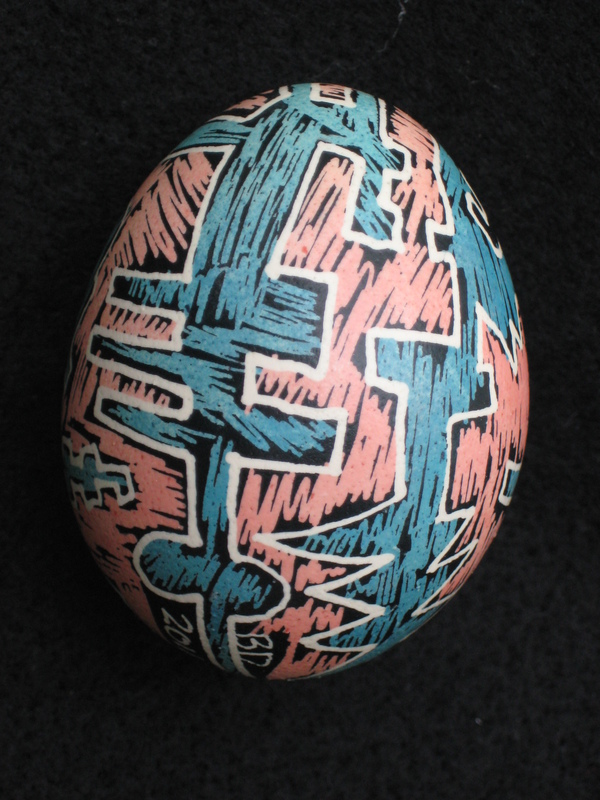 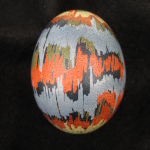 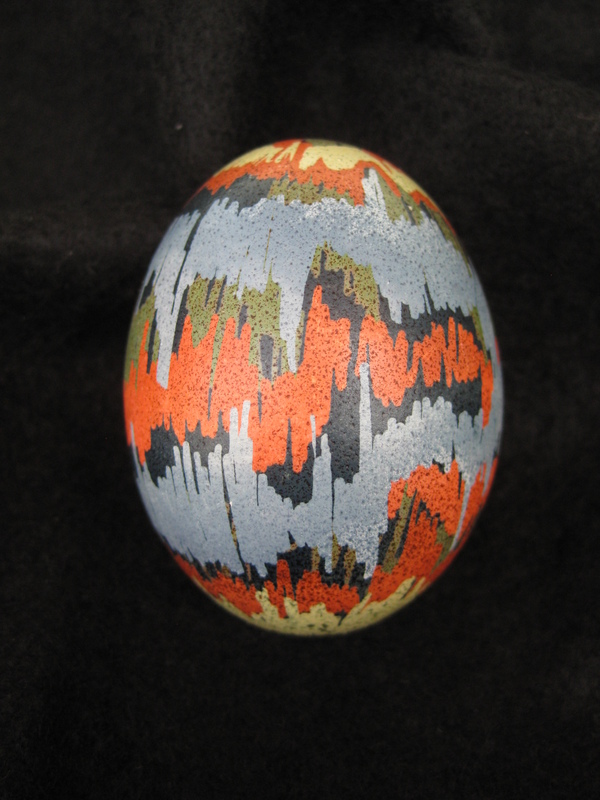 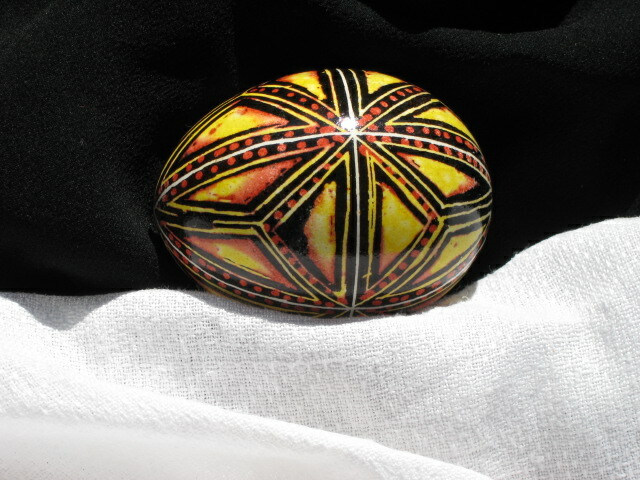 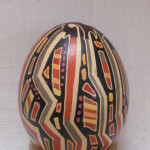 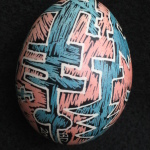 Each egg is elaborately created using a batik technique of repeated waxing with a tool called a kistka and dying with specific dyes. 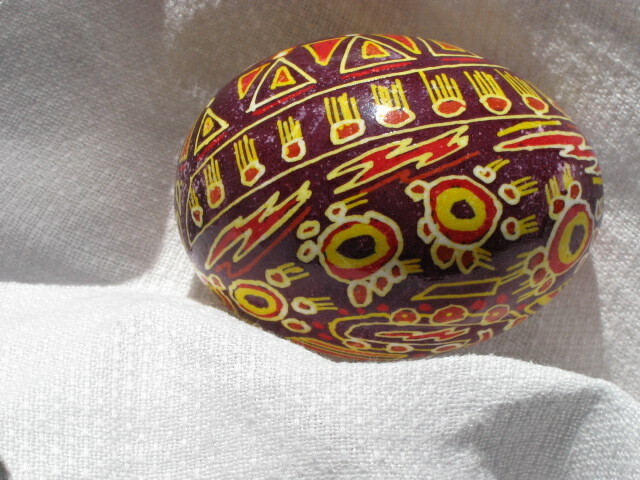 Christianity adopted and further developed this exciting Folk Art. 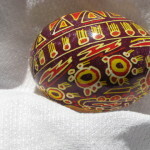 Bernadette DiPietro, an Ojai California artist, has been teaching the ancient and traditional art of Ukrainian Egg Decoration since 1972. 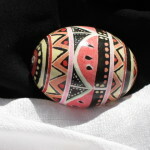 Her decorated eggs have been collected and exhibited in many fine galleries and museums throughout the country.